From Stonehenge to Big Ben to the homes of the Beatles, Great Britain is bursting with legendary iconic attractions. This damp and rainy country is home to thousands of years of history and you’ll never be far from a stunning castle or a pub that dates back to the Middle Ages. Outdoor lovers can trek across dramatic windswept moors or meander through pleasant countryside dotted with cottages. Culture lovers will have some of the world’s best art galleries, museums, historic sites and performing arts venues to enjoy. Fashionistas will discover that hip cities such as London, Manchester and Glasgow are on the cutting edge of what’s cool. Foodies will enjoy the locally-sourced farm-to-table trend in some of the excellent restaurants. There’s something for everyone in the UK. Although grumbling about the weather might seem like a national pastime, the locals are quite warm and welcoming and will happily invite you for a cup of tea or a pint. With a fantastic music, theatre and arts scene and so much to see and do, a trip to Great Britain will be a rich and fulfilling experience. 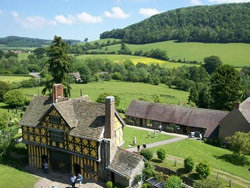 To find out more about our tour experiences in Great Britain, please contact us today. The ideal time to visit is during the shoulder season in Spring (April-May) or Autumn (September-October). During this time the weather will still be quite mild, but the tourist attractions will be less busy and the prices will be lower. However, be prepared to experience rain during any season and plan for many indoor activities as well as outdoor ones – such as museums, art galleries, historic buildings and friendly local pubs. Great Britain offers thousands of years of history, world class museums and art galleries, a thriving live music scene, beautiful green countryside and plenty to see and do. Spend a few days exploring London to see the Crown Jewels at the Tower of London, the Changing of the Guard at Buckingham Palace and Big Ben. 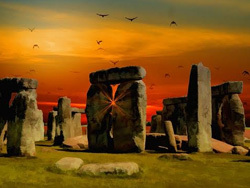 See the mysterious ancient stone circle of Stonehenge at dawn and take a walk along the sweeping Northern moorland to see Hadrian’s Wall. Have fish and chips on the pier in Brighton and afternoon tea in a fairy-tale like cottage in the Cotswolds. 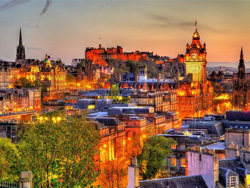 In Edinburgh you can visit the stately castle and if you visit in August you can see top notch comedy and theatre from around the world at the Edinburgh Fringe Festival. In Liverpool you can visit the underground Cavern Club where the Beatles used to perform and in Stratford-Upon-Avon you can visit the thatched cottage that was Shakespeare’s childhood home. See the beautiful 2,000 year old Roman Baths in the World Heritage city of Bath and get a tour of the elegant courtyards of Windsor Castle. Go for a walk in the scenic Lake District or in the lovely countryside of the Yorkshire Dales. Take a drive up to the Scottish Highlands to admire the ruggedly beautiful and remote scenery. 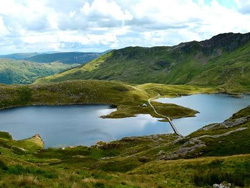 Visit historic and beautiful Wales, where you can go for a hike in stunning Brecon Beacons National Park or along the Pembrokeshire Coast National Park. Also, Wales has several fascinating castles to visit as well as several world class museums such as the National Museum and the St. Fagans National History Museum. Wales is also known for its scenic heritage railway journeys including the Snowdon Mountain Railway and the Brecon Mountain Railway. There are so many things to see and do in Great Britain, whether you are interested in culture, shopping, history or the great outdoors. No matter what you want to do on your adventure in Great Britain, we can arrange the trip of a lifetime for you. Our packages are all inclusive, so every detail is taken care of and any experience you want to have while travelling in Great Britain can be easily arranged – just let us know! Currently, visitors to the UK from the EU and Switzerland do not require a visa and will be able to enter with a valid national identity card and a passport. Visitors from many countries including Australia, Canada, Chile, Argentina, New Zealand, the USA, Hong Kong, Japan and several others do not require a visit to visit the UK for up to 6 months. The cleanliness of food and water in the UK is high, so there are no special precautions needed when dining. In the busy cities make sure that you are aware of your belongings and watch out for pick-pockets, as you would in any other big city in the world. Bring rain gear and an umbrella so that you are prepared for the unpredictable and often damp weather. The UK is a clean, developed first world country, so there are few health concerns to consider when visiting. However, the CDC does recommend a Hepatitis A vaccine as outbreaks can occur anywhere in the world. Also, Hepatitis B is recommended and Rabies vaccine is recommended if you will be enjoying any outdoor activities that put you at risk for contact with bats – such as hiking or caving. The currency in the UK is the British pound sterling. The recent Brexit referendum vote caused the pound to become weaker than it has been in decades, which means that you will get more of a bang for your buck when you visit this destination. There are many cash machines (ATMS) located in many major city and town in the UK. Also, your credit card will be widely accepted at most shops, bars, restaurants and cafes. Our Great Britain tour experiences will offer you an experience of a lifetime. To learn more about Great Britain and to book one of our fantastic tour experiences, please contact us today.